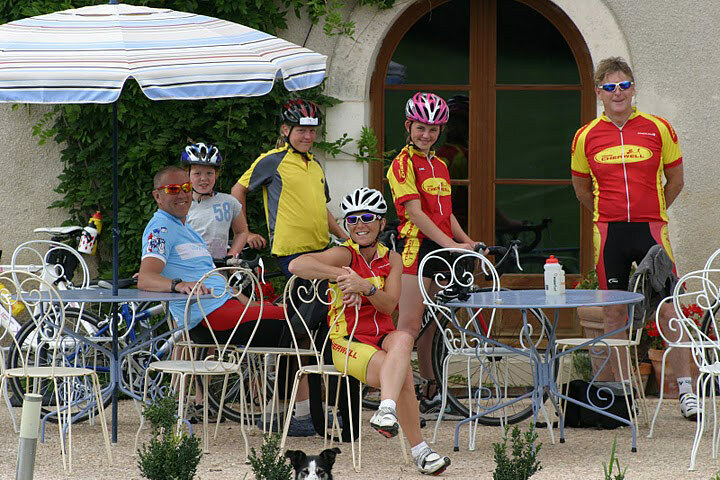 Les-Stables has four apartments catering for up to twenty guests at any given time. All apartments consist of a large open plan living/dining area with fully fitted kitchen and tastefully decorated lounge area sympathetically renovated to retain the character of the original building. All kitchens are fitted to the highest standard and consist of a modern cooker with oven/grill and hot plates, dishwasher, large fridge/freezer and electric kettle. Crockery, glasses and cutlery are also provided. The dining area consists of a farmhouse dining table and chairs and there is plenty of space to entertain in the vast open plan lounge area. 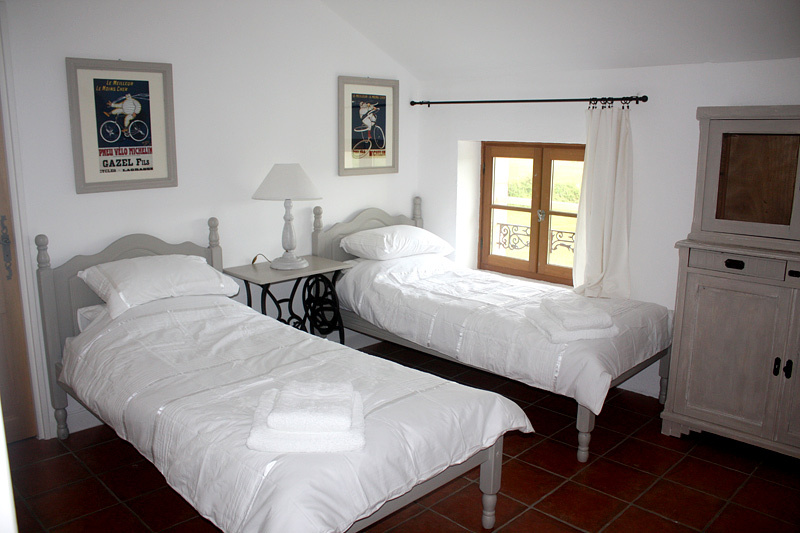 All bedrooms are en-suite with views over the surrounding countryside and clean towels and bed sheets are provided on a weekly stay basis. 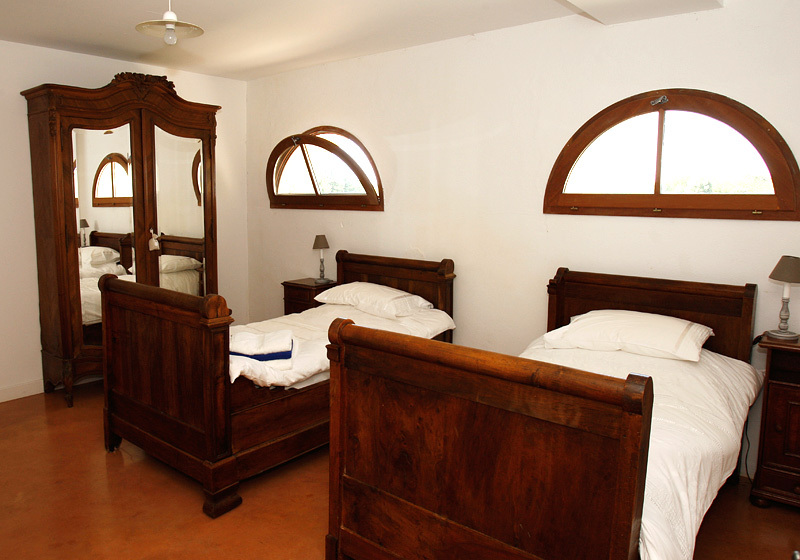 In the case of bookings in excess of one week, bed sheets and towels are changed after each week’s stay. Beach towels are also provided for use at the pool. 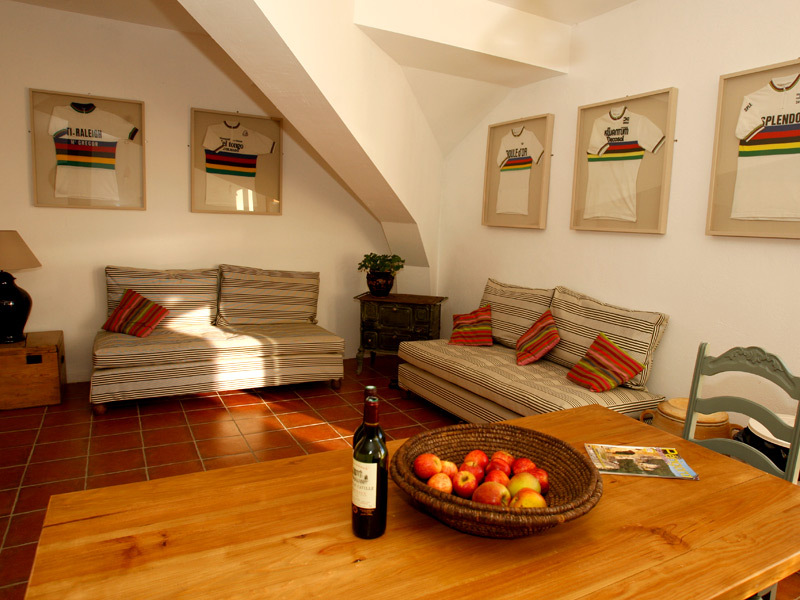 Situated on the first floor this beautiful apartment has a subtle taste of the past glories of world champions with original vintage world championship winners jerseys adorning the walls and a fantastic view from the living area over the central courtyard. With a large open plan living area and kitchen diner, this suite is the perfect apartment in which to socialise with a group of friends whilst having the space to escape to when a hard days training has left you feeling weary. With two twin and one family room (double & single bed),each bedroom has spectacular views over the surrounding countryside and each bedroom has the benefit of modern en suite shower and toilet facilities. Situated on the ground floor this suite has the benefit of easy access from the courtyard through an attractive covered archway immediately to the side of the apartment. 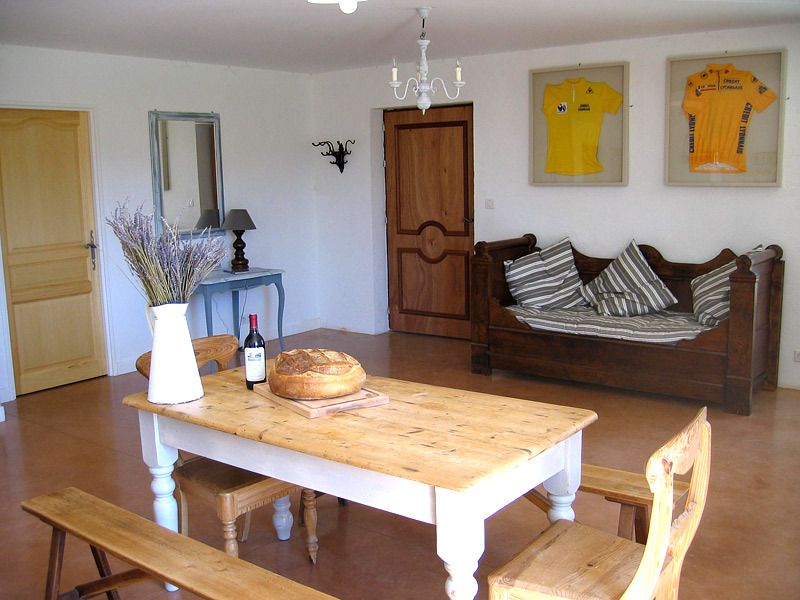 As the name suggests there is a hint of Tour de France victories about this apartment with legacies and memorabilia from tour winners past and present garnishing the interior. 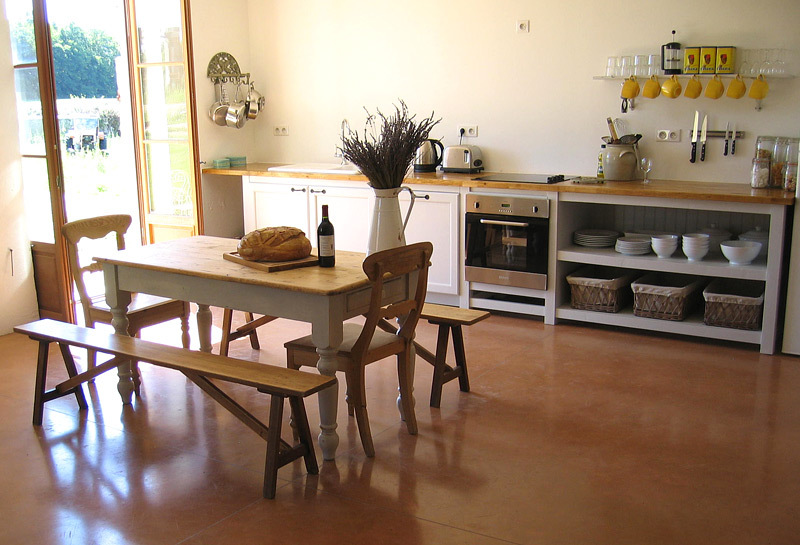 Again the apartment consists of a large open plan living area, and kitchen diner with great access onto the courtyard situated immediately in front of the building for those who prefer to dine ‘en plein air’. This apartment has two twin and one family room (double & single bed), all en-suite and with views of the surrounding countryside. Situated on the first floor this apartment has views from the living area across the courtyard. With a feel for the American successes ranging from Hincapie to Lemond and Fast Freddie Rodriguez this suite has a subtle touch of the stars and stripes about it. Accessed via a large rustic oak staircase the apartment consists of an open plan spacious living dining area and fully fitted kitchen with two twin en-suite bedrooms, both offering spectacular views down to the river. 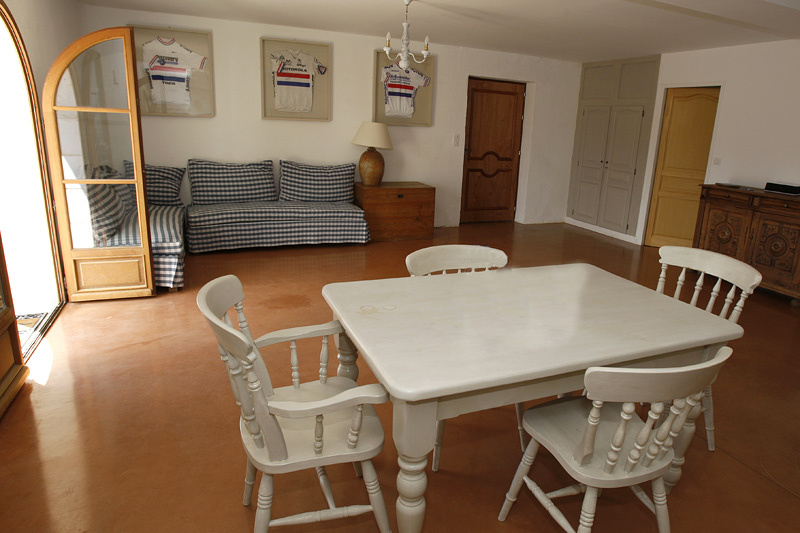 With a touch of British cycling heritage, this apartment gives a nod to our own home grown talent in its décor, adorned with signed national jerseys from past and present British greats like Yates, Millar and Hammond. This ground floor apartment boasts the same benefits as the other apartments with a large open living and kitchen diner area and two twin bedrooms which are both en suite. 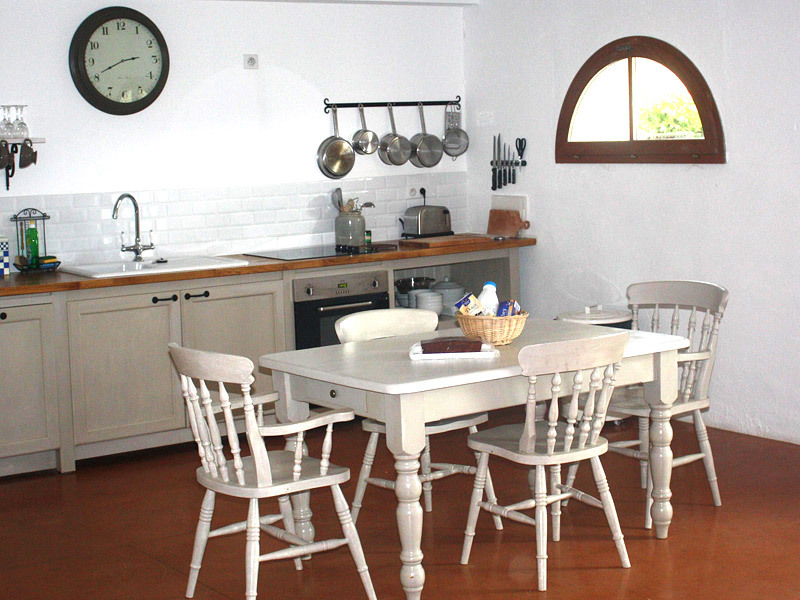 With direct access to the courtyard this apartment is furnished to maintain a feel for the heritage of the building with beautiful views across the courtyard and wild meadows. *Cots and high chairs are available free of charge, please advise of your requirements upon booking.